The never ending card design always looks tricky and unachievable but today, Maxine is going to show you how easy it is to create with her step by step video tutorial in Ryan’s video. One of the best things about this clever card is once it’s made, it only needs a sentiment and a few little embellishments, perfection. The First Edition Floral Fusion papers are beautifully decorated and really make this clever craft stand out! This fab card design is perfect for birthdays, weddings and so many occasions too, what will you use your never ending card for? 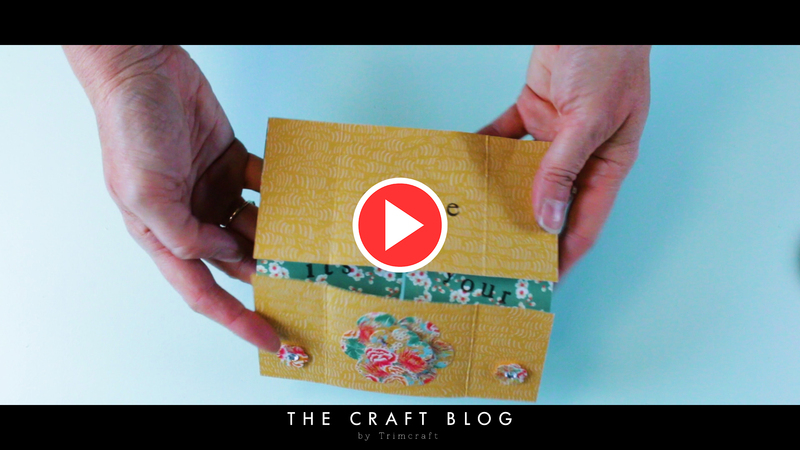 We’d love to see so don’t forget to #trimcraft when uploading to social media and to share your makes in the Inspiration area.